Do you enjoy spending your time in the great outdoors? Does sitting next to a riverside or lake and listening to the relaxing sounds of nature sound good and familiar to you? If so, you must already be acquainted to fishing. There are several ways to enjoy this hobby, but fly fishing is one of the most intriguing technique of all: artificial flies made of natural and synthetic materials are used to imitate prey and lure unsuspecting fish to them, and once they bite, there’s no going back into the water for them. It doesn’t matter whether you’ve just taken up on this hobby or you’re looking for tips to perfect your knowledge in the field, we’ve got you covered: we’ve collected the best fly fishing tips, guides, videos and checklists, along with some great resources for children. Feel free to use them as needed, and happy fishing! Just use the filters below to choose what you’re looking for, and enjoy! 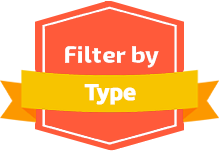 Using the filters, you can simply choose the type of resource you are interested in. We’ve collected the best fly fishing tips, guides, videos and checklists, along with some great resources for children. Feel free to use them as needed, and happy fishing! © 2018 UK BuyRope. All Rights Reserved.